In the past few weeks, anyone with internet knows that T.I. 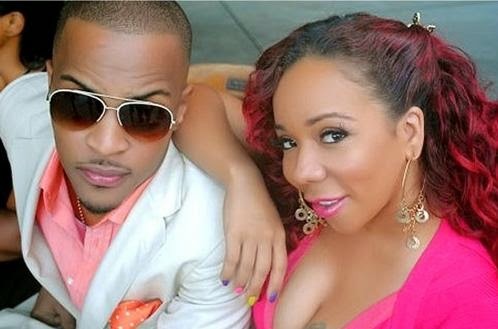 has been in one messy ongoing altercation involving Floyd Mayweather and his wife, Tiny. Over Memorial Day Weekend, Mayweather and T.I. “brawled” because Tip was unhappy with the nature of Floyd’s relationship with Tiny, and since then the two superstars have sent shots back and forth at each other, the most recent being Floyd claiming he slept with Tiny at a press conference promoting his upcoming fight with Marcos Maidana. Tip shrugged that off, and today, professes his love, loyalty and allegiance to his wife of 4 years on his new, Victoria Monet-assisted song, “Stay”. The message is simple, and powerful. Listen below.